Jason Senn, the owner of Endless Summer Surf Camp, has spent the last 15 years with his family surfing and living the “Endless Summer” in what he calls the “Golden Triangle”. Splitting their time between California, Costa Rica, and Hawaii each year. Now we want to share these magical places and experiences with others. Hawaii, considered the birthplace of Modern Surfing, is the Mecca of surfing where everyone needs to visit once in their lives. 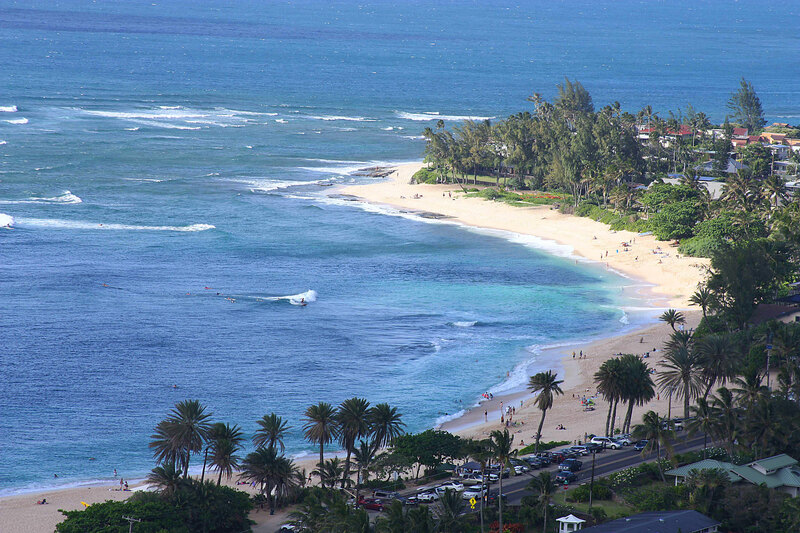 You will be staying on the North Shore of Oahu considered the surfing capitol of the world. Each year thousands of surfers from all over the world come the North Shore to witness the amazing waves, beautiful beaches and culture that Hawaii offers. The Endless Summer team is now offering packages so you can come and not only witness the amazing waves but surf them with us while enjoying the local culture. You have heard about Pipeline, Waimea Bay, and Sunset Beach and yes they are amazing waves for experts only, great to watch when they are firing, but for you, we will find waves that suite your ability level. We have over 100 different breaks to surf here on the Island for all levels of surfer’s from first timers to advanced riders. 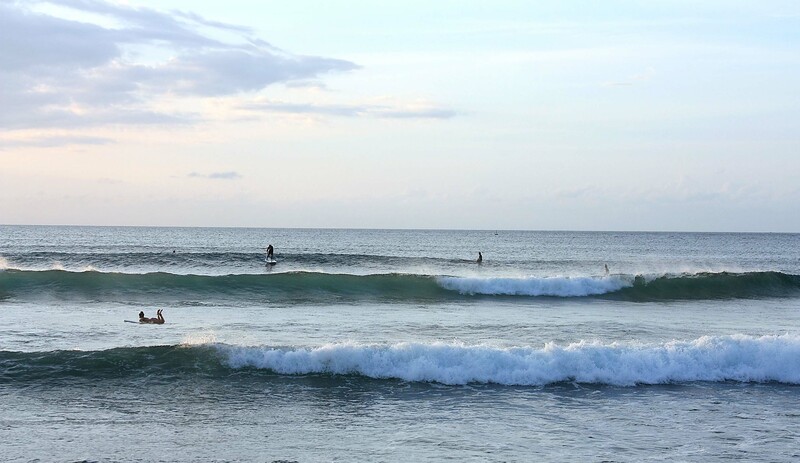 Each morning we will set out to find the best waves for your ability level. Then go off on an Island adventure afterwards. Maybe take an amazing scenic hike, see tropical fish snorkeling, take a beach walk and see some sea turtles, or relax and watch a local surf contest. Our beach cottages are within walking distance of the beach on the famous North Shore of Oahu. All cottage have complete kitchens and private bathrooms. Wi-Fi, TV, and phone all will be available for cottage guest. Rusty, our Surf Camp host, will be present 24 hour supervising campers ensuring all needs are met and fun is being had. Of course the North Shore is known to have some very large waves but we are not going to take you out to surf Banzai Pipeline when you arrive. There are many waves to be had for all levels of surfers nearby. The surf conditions change daily on the Island so we will observe the forecast along with your ability level and pick the most ideal surf spot for you each and every day. There are easy rolling waves for the first time surfers and fun surf for the Intermediate and Advanced surfers. Surf equipment will be provided for beginner surfers, Intermediate and Advanced Surfers are encouraged to bring their own boards or we can rent one here if needed. Depending on your surf level we will have the appropriate coaching for you. Here on the North Shore there are a few great beginner waves for first time surfers. Our Coaches will ensure you make your surf dreams come true while with us. If you are looking to take your surfing to the next level our coaches will work with you reach your goals. All Surf Coaches are First Aid/CPR Certified. * Hawaii Adult Surf Camps are for ages 21 and over. Airfare not included. Lunches and some dinners are not included in the adult package. We need a minimum of 4 surfers for a session to run. If minimum number of campers is not met 14 days prior to surf camp start date, camp will be cancelled and you will receive a full refund. Endless Summer is not responsible for any inconvenience, or the cost of travel if camp is cancelled due to not meeting minimum requirement. Contact us for more information or to book a camp. Upon arrival meet up with Rusty, your camp host, and the rest the group, have a local dinner to start the week. Check the forecast and discuss what everyones goals are for the week. Each morning wake up to a hearty breakfast and get ready to head to the beach and surf. Each day we will take you to waves that suit your ability level. If we need to split the group by skill level to visit different breaks we will. After a post surf meal we will head out on an adventure for the day. 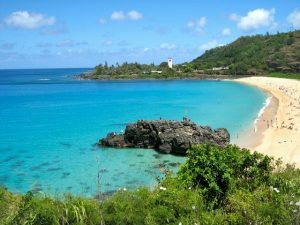 That might include a scenic hike, a snorkel, or a trip to a local historic attraction such as Waimea Valley. Each day will be capped off with a Sunset Surf, of beach walk depending on the group and the surf forecast. Followed by a local dinner. At the end of the week we will cap it off with a local BBQ, a Hawaiian tradition, at our Surf Cottage. I heard the surf is big in Hawaii can I handle it? Yes, Hawaii’s North Shore is known to have some of the biggest and best surf in the world. In fact the waves here are as famous as the surfers who ride them. However what most people don’t understand is that there are waves for all levels of surfers on the Island of Oahu. We have some great waves for beginner and Intermediate surfers when the waves get too big on the north shore. So the best thing about being on an Island is you can drive and find a wave that suits your ability. Camp owner, Jason Senn, has been conducting lessons here for years and thinks this is the easiest place in the world to teach someone to surf. These camps are geared towards all levels of surfers, so if whether you are a beginner or Advanced surfer we will find waves for you. Yes, you are welcome to bring your own equipment if you have it in fact we recommend it, especially for those Intermediate/Advanced campers. For those who need equipment we do provide beginner surfboards. We have a quiver of beginner surf boards, if ride a short board and wish to rent one locally we can try to find one for you. We do have a very small selection of short boards on hand. But best to bring your own. How many campers will there be? We are only offering this unique Hawaii Surf Camp experience to a select group of male and female campers. So if you are interested sign up as soon as possible. We will cater to personalized groups of 4 – 6 surfers. This enables us to offer you a unique Island Experience mixing in surfing with tours of the Island and its amazing local cultural attractions. We will be staying at a local beach cottage. Depending on the size and needs of the group we will reserve one of our trusted local cottages for your trip with us. All accommodations will have private bathrooms, and will have WiFi and TV. All cottages are within walking distance of the beach. What are the ages are of your campers? 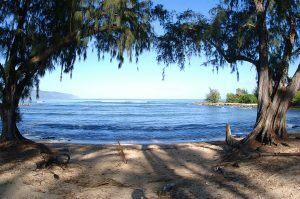 The Hawaii Surf Camps are geared for adults, 21 and over, looking for a surf getaway. This camp will be a complete Island Surf Experience. Rusty, your ambassador of Aloha, will make sure you get the waves of your dreams while giving you tours of the Island in between. If you have a group of friends interested get in touch. This depends upon the group and their stamina as well as ability level. We will surf every morning until our arms give out and we get tired. Then depending on the group and our schedule we will have an afternoon or sunset surf again. The only airport to fly into is the Honolulu International Airport (HNL) airport which is located around 60 minutes from surf camp. We do have a curbside shuttle service which will meet you or your son/daughter in baggage claim. Airport Shuttle is included in the price of camp for appropriate arrival and departure times. Late night or early morning arrivals/departures will be charged a shuttle fee. What type of food is available, whats included? All your Breakfast and some dinners are included in our surf camp package. We will try to meet all your dietary needs. A typical day will include a quick continental breakfast prior to our surf session. Followed by and after surf hearty breakfast, brunch or lunch depending on how long we surfed. Egg sandwiches, pancakes, breakfast burritos. To give the complete Island Experience some of our lunches and dinners will be eaten at local eateries. This will give you the chance to tour the local area some more, get to know its local culture and enjoy the amazing food. For example for lunches we might grab a local plate lunch if we surfed into lunch time, or we might be on an island tour and stop at one of the world famous shrimp trucks. If we find ourselves on an Island Tour with Rusty we might stop at the Legendary Dukes Restaurant in Waikiki for Sunset Mai Tai and a meal. Dinners will be mixed between cooking at the main house and eating out at local eatery’s. NO surfer will go hungry. *All lunches and some dinners are not included in the package, campers will be responsible for meals eaten outside of surf camp premises. As mentioned above we want to give you the chance to explore the island food and lifestyle. Surf camps start on Mondays, when and what time do I need to be there? Sunday is arrival day for your Island Adventure. Surf camp sessions begin on Monday morning with our first surf session. For Sunday evening you are responsible for your own dinner, we will go out for dinner as group and plan our Island Adventure for the week. Departures take place on Saturday. Spending money for outside activities, meals, souvenirs, etc. After a long day of surfing we might head back to our surf cottage to relax, hydrate and eat some snacks. Or we might take in lunch at a local eatery and pick an island adventure for the day. This could be a scenic hike up to the old war bunkers above the famous Banzai Pipeline. Or we could grab our snorkeling gear and go look for the state fish humuhumunukunukuapua’a . Or Cap off your day enjoying a tropical Mai Tai while you watch the sun set over Kaena Point. What you will get with is is a taste of Aloha. Rusty will keep you entertained and show you as much of the island as he has time to. Endless summer surf camps live Aloha (Hawaiian word for love, affection, peace, compassion and mercy) we aim to show you the true meaning of Aloha which is as much a feeling as a word. Get ready to soak in the Aloha spirit and feel the happiness, joy, and peace while having fun with the Endless Summer OHANA (Family).